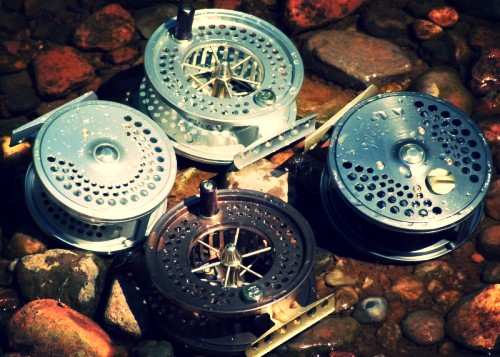 The design of this range of fly reels is based on the Aerial reels produced by J.W.Young and Allcocks and has been developed to produce two middleweight, large arbour fly reels. Each reel is hand-built by ourselves and finished to the highest possible standard. Every spool and cage is given a high-micron anodised finish for greater resistance to freshwater and saltwater damage, and each reel may be individually engraved at the Mill Tackle workshop to customer requirements.